Ravi has founded five start-up ventures two of which exited to public NASDAQ companies and an angel investor. He is a mentor to numerous entrepreneurs, technology executive, and ecosystem evangelist. 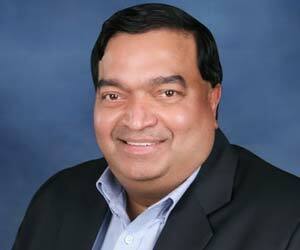 Ravi is also an active angel investor with a portfolio of more than twenty five companies across various sectors. Over his 25 year career, Ravi has held wide ranging roles including promoting an STPI unit exporting software components out of India, product management at Intel, served as Managing Director of the Trilogy Software's India engineering center, and founded multiple successful software product ventures two of which were acquired by public NASDAQ listed US technology companies. He is a member of the NASSCOM Executive Council, chairs the NASSCOM Product Council and co-hosts the NASSCOM Product Conclave. He is Charter Member of TiE Bangalore where he launched the Cloud SIG, is Co-Chair/Founder of the Penn & Wharton Club of Bangalore, and is Co-‐Founder & Co-‐Chair of Harvard Business School Alumni Angels India chapter. Ravi received his MBA with high distinction as a Baker scholar from the Harvard Business School. He graduated with honours as Benjamin Franklin Scholar from the University of Pennsylvania in the Jerome Fisher Program in Management and Technology receiving a B.S.E in Computer Science and Engineering from the Moore School and a B.Sc in Finance from the Wharton School. He was also a research scholar at University of Edinburgh and schooled at La Martiniere for Boys in Kolkata.